It seems like I just got back from Austin, but now this landlocked girl is running off to the beach! I have a couple of scheduled outfit posts for you and more Texas coverage when I return. Enjoy your weekend! Adios! I love Austin so much! Enjoy yourself.. Sounds like fun!! 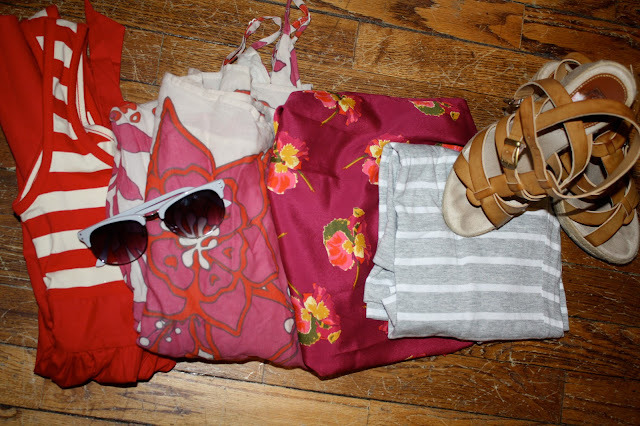 The things you're packing look cute! Have fun at the beach! wow makes me miss the summer!! Enjoy the beach!! Are you mad I live 15 minutes from beach and never go! I just can't get myself to do it! have a great time, katy!